This volume provides an up-to-date and comprehensive coverage of second language learning. The focus throughout the book is primarily on language learning, but each chapter also discusses the implications for teaching and assessment, thus informing both understanding and practice. 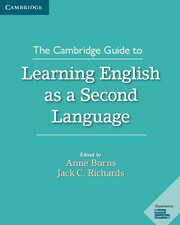 The book contains nine sections, which aim to organise and reflect different dimensions of the diverse and complex scope of learning English as a second or additional language. 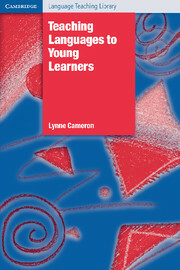 Four themes which permeate the chapters are: learning and learners; learning and language; learning and language development; learning and learning context. The 36 chapters are up-to-date and authoritative, written by experts in the field. The content is accessibly written, with questions for discussion and follow-up reading suggestions provided. This book will develop readers' understanding of children are being taught a foreign language.